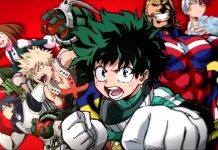 Boku No Hero Academia chapter 120 was released a few days ago, meaning that fans are now eagerly waiting for the next chapter to arrive. The previous chapter was an amazing one as All Might interfered in Izuku and Katsuki’s battle, and managed to change the point of view of Katsuki. Now, the League of Villains is expected to make their move soon. Here is a short recap of Boku No Hero Academia chapter 120 and spoilers of chapter 121. 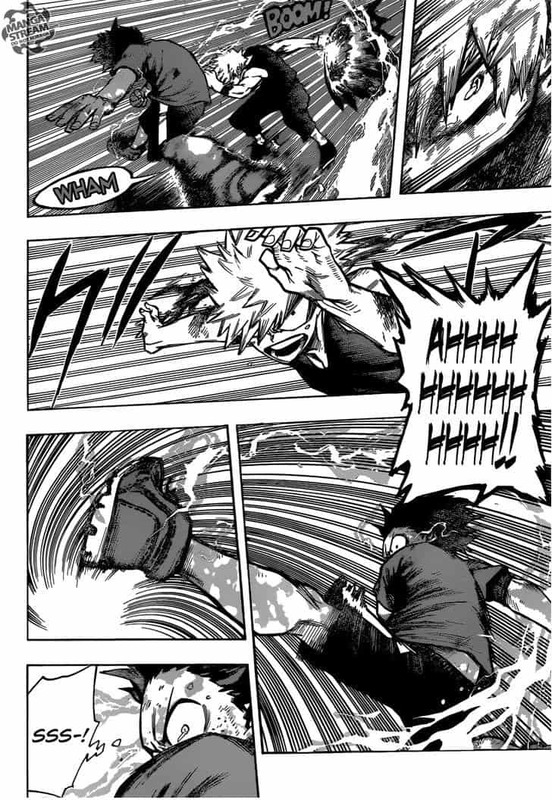 In Boku No Hero Academia chapter 120, both Izuku and Katsuki continued to fight each other. After a few minutes, Izuku enhanced his kick to 8%. This did increase his speed, but at the same time, it damaged Izuku’s arm. However, Izuku still felt really confident after gaining the upper hand against Katsuki. Katsuki then attacked Izuku with an explosive attack, which Izuku easily blocked with a One For All powered up kick. This resulted in both of them getting thrown away due to the explosion that was created. However, that didn’t stop the two from killing each other, so they got up on their feet and continued their fight. Katsuki then engaged Izuku in mid-air, which surprised Izuku. Izuku then decided to end the battle, so he powered up his One For All Full Cowl punch. He wanted to show Katsuki why All Might believed in him and chose him as his successor. Izuku then delivered his punch, which landed right on Katsuki’s face and caused him to bleed. However, even though he was badly injured, Katsuki couldn’t afford to lose. He then grabbed Izuku, took him in mid-air and slammed him on the ground by using an explosive attack. Katsuki then declared himself the winner. However, none of them was really the winner as both of them received equal damage. To prevent them from hurting each other anymore, All Might appeared on the scene. He apologized for interfering, but Katsuki quickly asked him why he chose Izuku. All Might simply stated that the day on which he chose Izuku as his successor, he realized that Izuku is a hero who needs help. Katsuki then started to feel weak after realizing that he couldn’t free himself from the League of Villains. He said that he feels sad after seeing All Might as he is no longer a hero. However, to help him calm down, All Might tell him that there is always an end for everything, and told Katsuki that he is strong. Afterwards, he gave Katsuki an apologetic hug. Katsuki then promised All Might that he will protect Izuku and All Might’s secret no matter what happens. 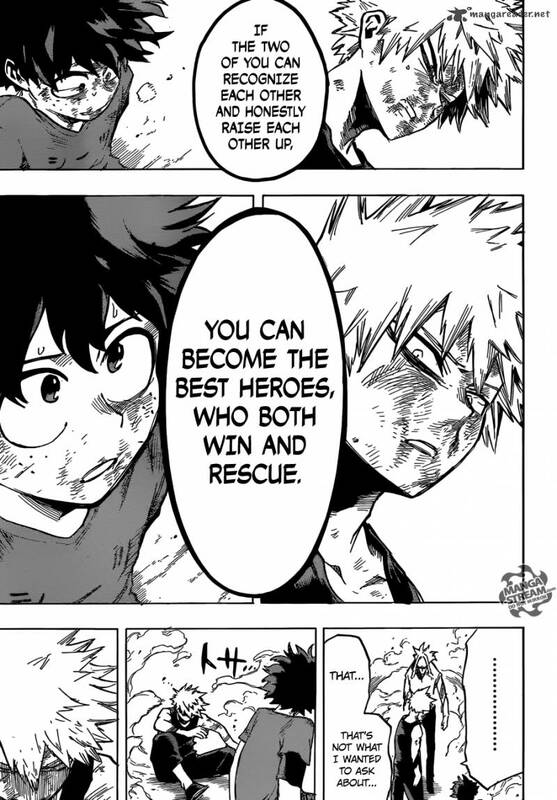 All Might believed that both Izuku and Katsuki are strong, and they can become really strong heroes. Now, in Boku No Hero Academia chapter 121, rumor is that the League of Villains will make their move now. It is said that Himiko Toga will shape shift himself as Izuku, and will then create havoc around him. Through this, Tomura might also discover All Might’s secret. So fans can definitely expect to see some serious action in the coming chapters of Boku No Her Academia. Boku No Hero Academia chapter 121 will be released next week. Let us know if you’re excited for it or not in the comments below. Previous articleBlackBerry DTEK70 Photos Leaked; QWERTY Keypad To Make A Comeback? 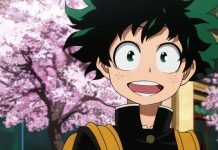 Boku no Hero Academia Chapter 117 Release Date And Spoilers: Midoriya Tells The Truth About His Quirk To Everyone?